Matt Goss took his second win in three days, crossing the line with arms aloft at the opening stage of the Tour Down Under, Australia, on Tuesday. 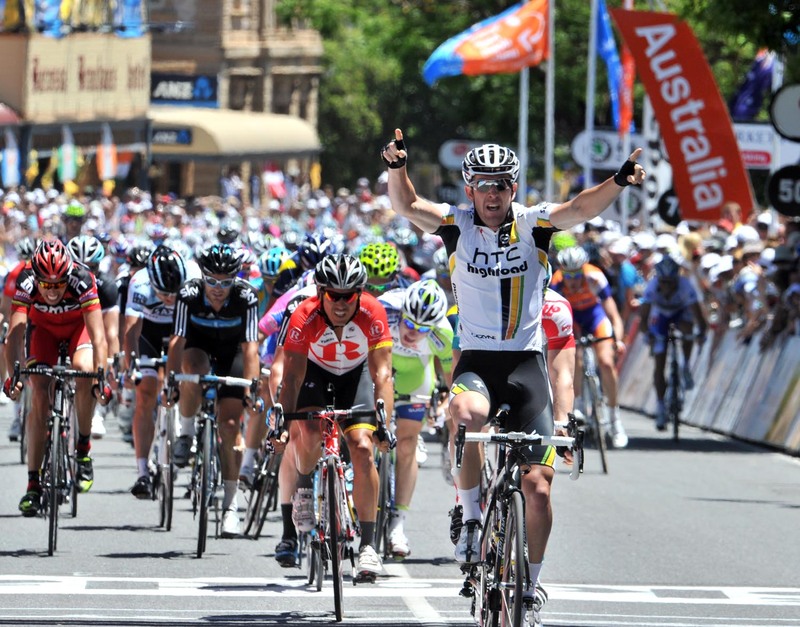 On Sunday, Goss won the TdU warm-up Council Council Classic criterium for his HTC-Highroad team. In-form Goss sprinted clear of defending TdU champion Andre Greipel (Omega Pharma-Lotto) in second and Robbie McEwen (RadioShack) in third. Team Sky’s Chris Sutton placed fourth, with team-mate Greg Henderson in tenth. The clash of the three big name sprinters – Greipel, Mark Cavendish (HTC-Highroad) and Tyler Farrar (Garmin-Cervelo) – failed to materialise. Greipel was the only one of the trio to contest the win, with Cavendish and Farrar content to ease into the race rather than go all out on the first day. Cavendish and Farrar finished the stage in 62nd and 59th respectively, in the same time as Goss. The day’s racing was shaped by a five-man escape group consisting of Mathieu Perget (Ag2r), Simon Clarke (Astana), Mitchell Docker (Uni SA-Australia), Miguel Minguez (Euskaltel-Euskadi) and Jon Izaguirre (Euskaltel-Euskadi). 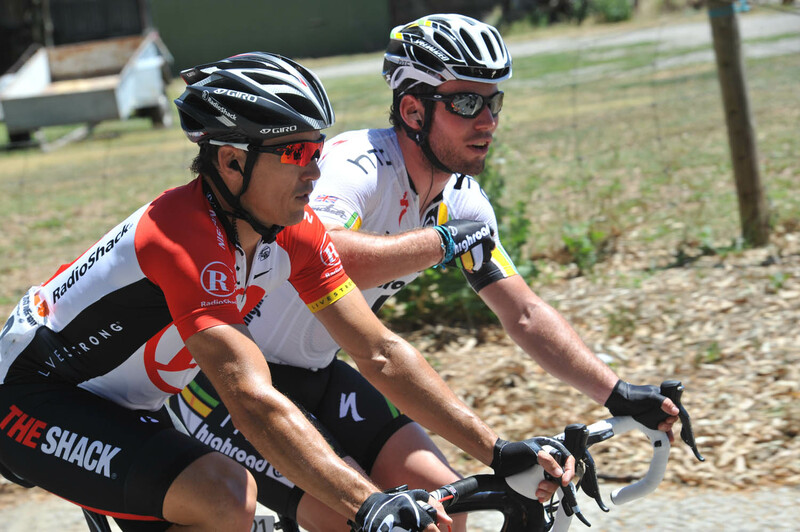 The breakaway was caught within the final 20km as the sprinters’ teams wound up the pace to set up a bunch finish. Lance Armstrong (RadioShack) also kept himself in the main bunch, starting his last race outside the USA in relatively anonymous fashion. Goss will wear the leader’s ochre jersey going into Wednesday’s second stage, a 146km stretch from Tailem Bend to Mannum. Goss sits four seconds ahead of Greipel on general classification, with McEwen at six seconds. 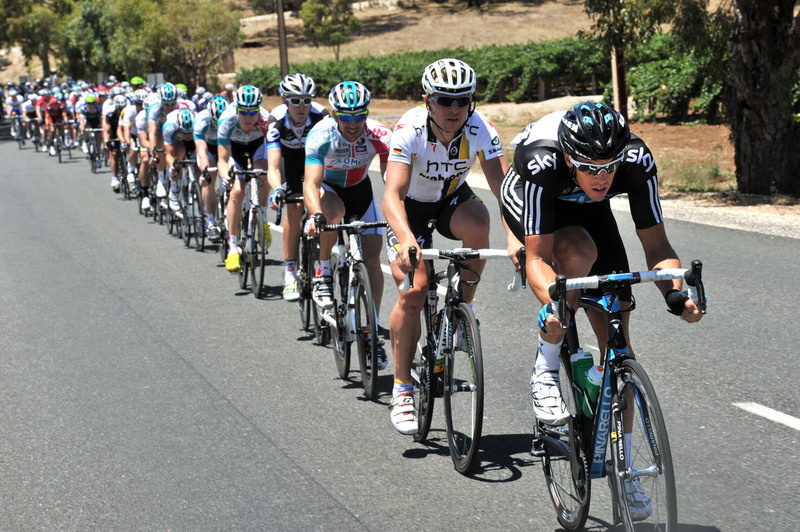 The six-stage Tour Down Under concludes on Sunday, January 23.